New in: A video of our final run through on Saturday. I spent this morning in a room at Mt Maunganui singing in a language I don’t speak more than a few words of. I spent this morning in a room at Mt Maunganui singing with (mostly) complete strangers of all ages. I spent this morning in a room at Mt Maunganui marvelling at the talent of Ria Hall and her cousin Teraania Ormsby-Teki. We had gathered to learn how to perform a waiata (song) written especially to open the Tauranga Arts Festival on Thursday, October 22 – we will perform it at 7am on the waterfront at The Strand so if you’re anywhere near do come. Those present on the day will be invited to join in or are welcome to simply listen. Te Hokai Takiri Ata has been written by Teraania, while Ria has composed the melody, will lead us in song and is tutoring us to become an instant choir – tenors, altos and sopranos. Both women are involved with kapa haka performance groups and having their insights into the ‘spirit’ of the song, as well as some nuances of meaning was wonderful. Emily Macklow of the Mauao Performing Arts Centre has scored the composition and is also part of the choir (tenor) so was able to respond and adapt the score as we went along. The waiata is about the faerie people (patupaiarehe) who come out at night and visit their old friend Mauao (Mt Maunganui), fleeing as the sun rises and returning to their forest home, Hautere. Our mission, as the community choir, is to convey the creeping and flying of these magical beings, who aren’t necessarily ‘good’, as they call one another to depart, quietly at first and then with urgency. To be caught by the sun is to die. “The spirit of the song is there in the breath before you roll into the first word,” Ria advised us, while Teraania added notes about the kind of atmosphere she was trying to create with her words and was excellent at helping the predominantly Pakeha singers with pronunciation. After 3 hours of hard work had we achieved her ‘awesome vortex of collectiveness’? I think we pretty much had, both in the singing and getting to know one another in the short breaks (thanks to Claire for the chocolate biscuits). Chelsea is an American who has been in New Zealand for only 2 months, there was a young English woman (with a belting voice), some school-age sisters who come from a Japanese-Kiwi home, men and women, Maori and New Zealand-born non-Maori, so we’re all sorts and all the better for it, a real reflection of our community. We have one more rehearsal on Tuesday and then comes the responsibility of singing to the night, to the sun and to Tauranga’s guardian landform, Mauao – at the same time celebrating our place, our people and our performers. PS: I’m no singer so if I can do it, so can anyone! 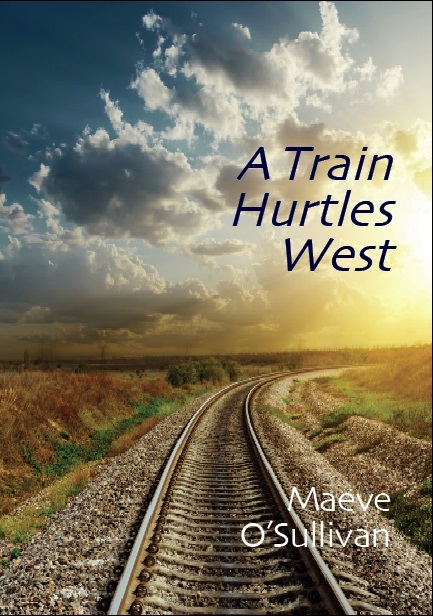 I have finally got around to reading A Train Hurtles West, a collection of haiku by Irish poet Maeve O’Sullivan – and chose to pick it up on a day when I really needed distracting from my life, a ‘wobbly’ day in other words and one that had taken me unawares. She has divided the book into small sections with only the title at the top of the page to let anyone who’s interested know that you’ve moved to a new theme – however, the poems are arranged so well that it doesn’t matter if you don’t pick up on a theme change. The seasons are there, but so are Interiors, Music and September Affair, among others. O’Sullivan’s assurance with the haiku form is contained on every page. However, if I have one criticism of Train it is that I wish O’Sullivan, a founder of Haiku Ireland, had edited the collection just a touch more tightly – there are a couple of haiku that are statements or that use three images instead of two. But it’s a minor quibble in a collection that hangs together well and is a generous helping of the author’s work. The final section gives the book its name, with the collection dedicated to the poet’s mother, who died last year. As a book of remembrance for a life lived and for a life being lived with all its happiness and sadness, quiet corners and rowdy backdrops, flowers and birds, this will do very nicely indeed. Copies are £10 / €12 / $15 each, plus P+P, with 30% of the profits from sales going to the Rigul Trust which funds healthcare and educational projects in some Tibetan areas of China. See the publisher’s website for details. 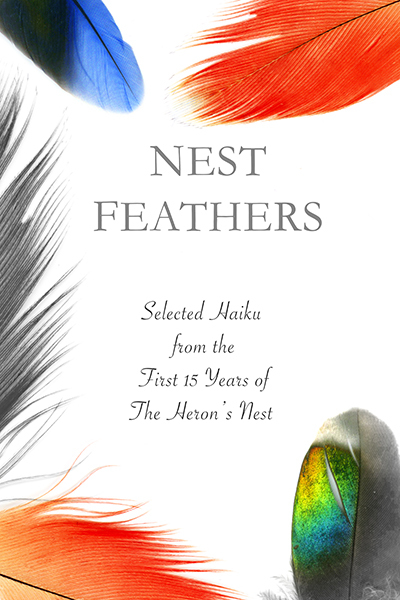 If you’re interested in the beginnings of haiku in the West, you may care to go and read an article I have written for Haiku NewZ. The first part covers the beginning of World War 1, the vogue for Japonisme, the emergence of haiku in France, and the authors of early haiku in English, while the second part looks at haiku about Gallipoli and Anzac Day by New Zealand and Australian poets. Read Snapshots: Haiku in the Great War.